Today was spent at Beadnell and Seahouses, in Northumberland. Me, John, Tom and Tess the dog. It was a lovely day, slightly over cast at first but then it brightened up and got warm although it was rather windy. It was rather fun. Beadnell is really pretty actually. All these photos are my own. John absolutely loves Beadnell quote 'When I die I want my ashes spread at Beadnell' The true words of John Freeman. ess absolutely loved it, she was in and out of the water, extremely happy. The beach at Beadnell is absolutely beautiful seriously, if you're in the area visit it, its lovely on a nice day but if its raining and there's some sea mist avoid. I had my first visit on a day like that and decided I'd never go back until John begged me to go again. Once we'd been to Beadnell we went to Sea houses, there isn't much at Seahouses, well what I saw apart from a really nice Fish and Chip shop it was called something to do with Neptune. Really good food. So once we'd eaten we went for a wander around the harbour. I tried to get some photos of Tom too but he wasn't having it. Haha he's shy. But have a nice photo of the Harbour. Once we got back I made 5 pizzas with the help of Tom, who is soon going to be a chef at Close house! Which is extremely posh! So the Pizza's were a success, I made them for all of the Freeman's and myself. I'd have taken a photo but I was extremely hungry by the time they were cooked. I'll post a recipe and such for pizza base and sauce when I get the time. 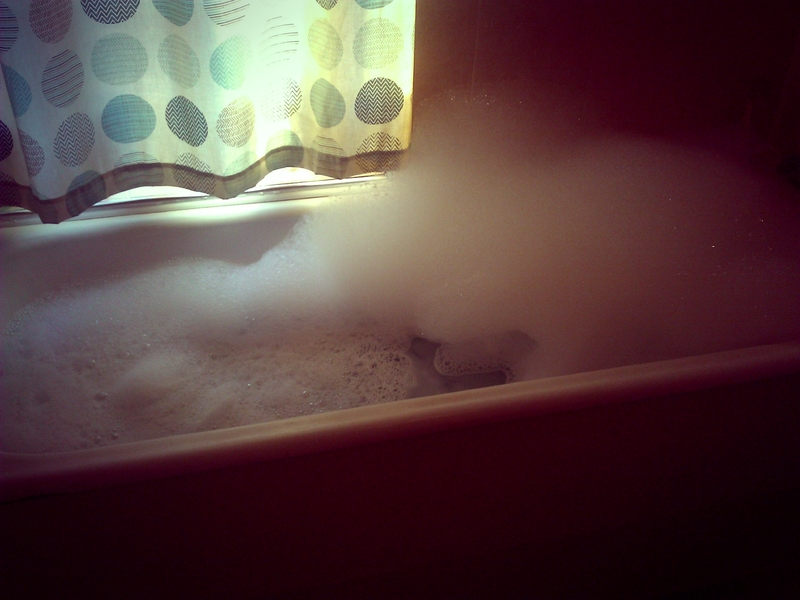 Once I'd finished clearing up and John had gone to football I decided that I would have a wonderful bubble bath and read the current issue of Vogue. 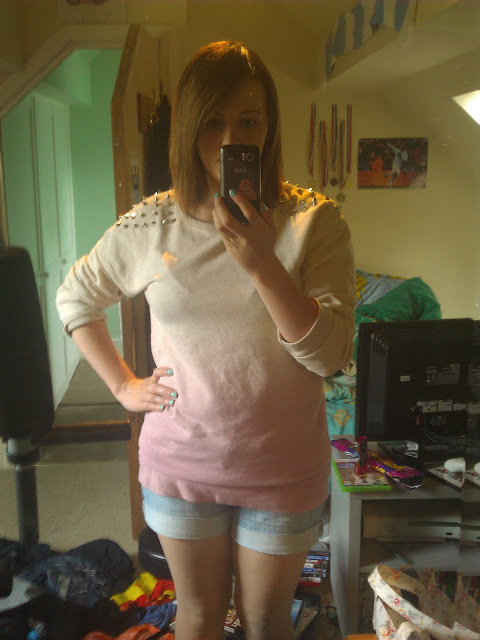 Jumper- TopShop, Shorts- New look, Bag- Cath Kitson. So that was my day, I had quite a lot of fun and had bonding time with John since I barely see him since he's always at work. On that note Cheerio. I really like the jumper! And what a lovely dog!